THERE’S something about that first sighting of Beinn Dorain on the journey up the A82. It seems to rise straight out of nothing, an imperious pyramid bursting skywards from skirts of grass and scree, the perfect mountain shape. From other angles, of course, it’s a different animal altogether, but it’s this first view that plants itself deep in the memory. There are many fine mountains before you reach this point, but I always feel that Beinn Dorain is the true gateway to the wild, rugged lands of the north and west. 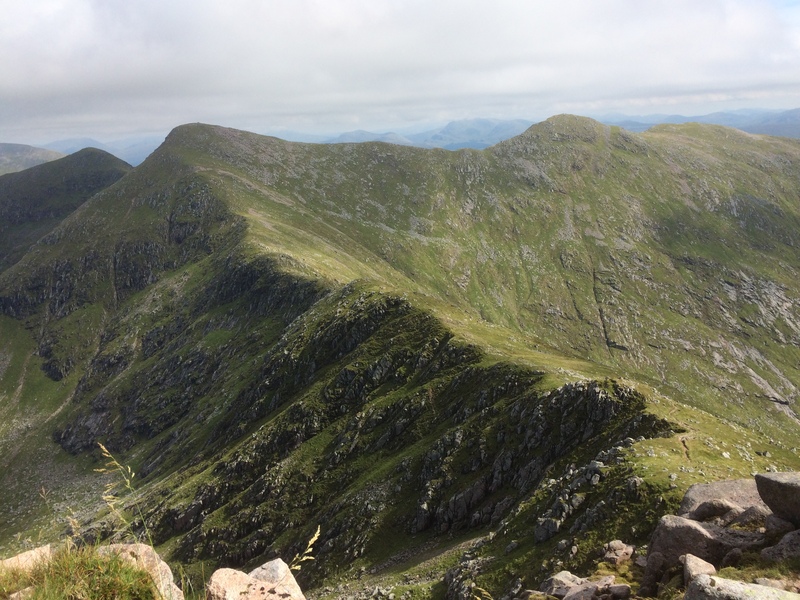 It was the fifth Munro I climbed, and its neighbour, Beinn an Dothaidh, the sixth. 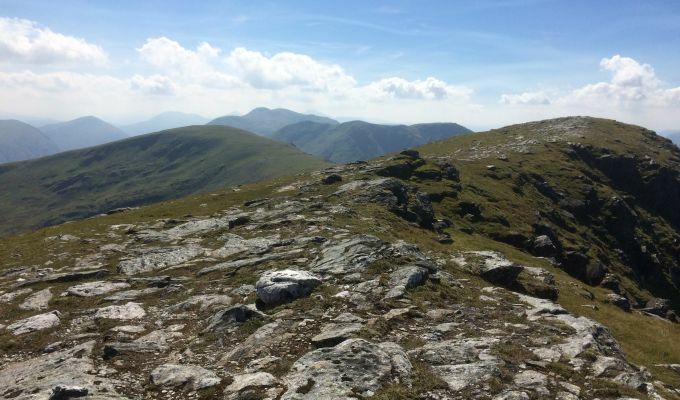 It was the first time I had combined two Munros in one walk. It may seem strange now, but when we started out we never thought of tagging mountains together. One was more than enough for a day out, thank you. That naivety didn’t last long. The more experience gained led to more dual ascents, then on to threes, fours and so on. Even then it was mostly done by the book. 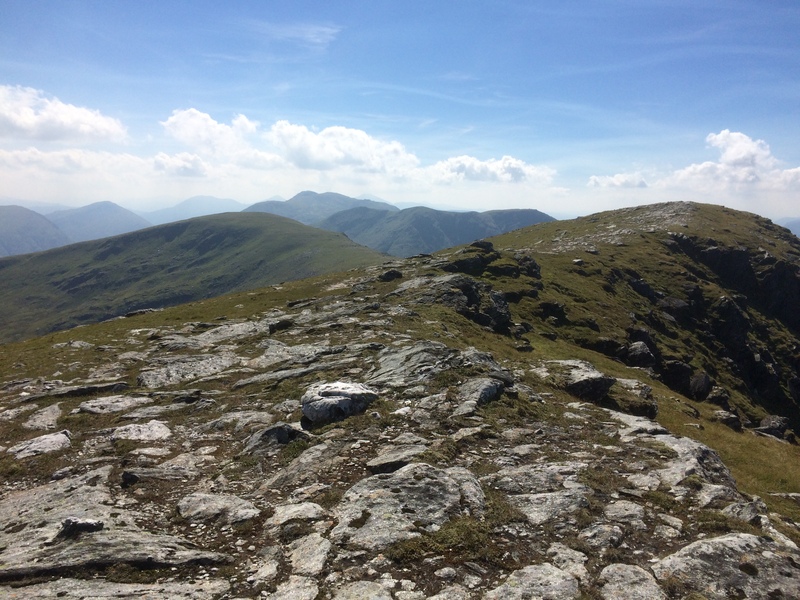 The SMC Munros book was our bible and throughout my first round the routes were followed almost religiously, as if there was safety in the tried and tested. During this time, we watched in wonder at those superhumans racking up multi-peak days, distances and times we felt our legs would never be able to emulate. But a few years ago, I decided I should start pushing myself more. After all, 12-hour days were nothing unusual, but that was mainly down to distance, not height gain. The question of much more ascent was surely just another psychological barrier to overcome. The reaction of a friend more than 20 years younger who struggled to keep up during a long, tough traverse was the final piece of evidence I needed to convince me I was a lot fitter than I believed. So I started to supersize my Munro days. Glen Etive provided the first challenge, the five Munros of the Ben Starav round. What had previously taken two or three separate ascents of around seven hours had been completed comfortably in under ten hours. I wish I had been braver sooner. This is a far more economical way to do the hills. Keeping the height for an extra couple of hours saves on the number of journeys, and the time taken to descend and then re-ascend another day. Earlier this week, I left my car at Lochawe rail station and walked in to Beinn Eunaich and Beinn a’ Chochuill but instead of then calling it a day, I continued on over to Stob Diamh and Ben Cruachan. There’s a significant height loss with the drop into the Lairig Noe and then a big re-climb but it saved me another trip, another day. The following day, a friend and I went up the Bridge of Orchy pair Beinn a’ Chreachain and Beinn Achaladair, but when she descended into Coire Daingean, I kept going to traverse my old friends Beinn an Dothaidh and Beinn Dorain and complete the circuit. I am now looking at the nine Fannaichs as one walk, the ten Mamores over a night and day and many other combinations. There’s maybe a feeling that the days are running out and I should do as much as possible while I can - a mid-old-age crisis if you like - but it’s definitely the way ahead.